Chewy, gooey, and delicious - now you can make your favorite candies right at home. 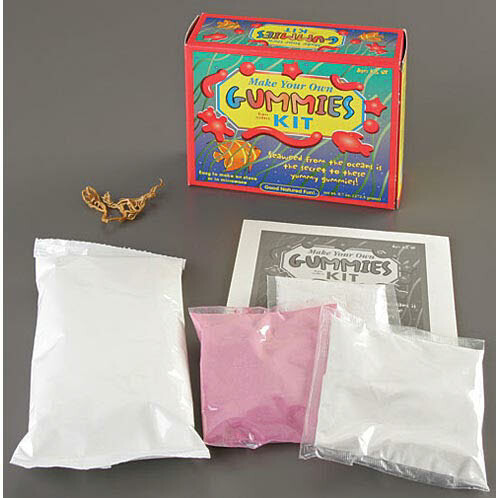 This kit includes everything you need to cook up a variety of flavored gummy treats. You'll discover that seaweed from the oceans is the secret to the gummy production and learn about the raw materials across the world that are used to produce our favorite foods. This set includes instructions and the story of Carrageenan.